It’s officially December, and my house is officially dressed for it!! The Sunday afternoon after I arrived home from Thanksgiving weekend I set up my new tree and started decorating all around the house. There’s just nothing like putting some Christmas jams on and putting ornaments on a tree, is there? 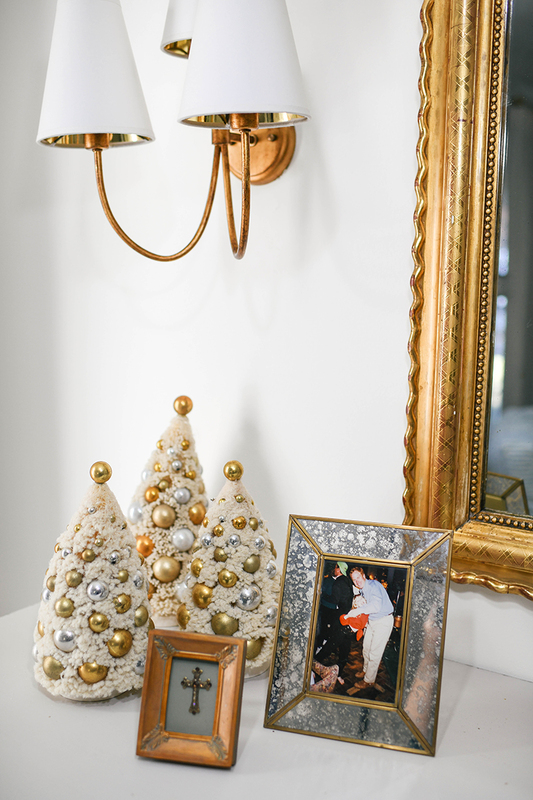 While some of my ornaments and decor items are new, most are pieces I’ve actually found around Dallas at Wisteria and Mary Cates in Inwood Village, and Madison in Highland Park Village. 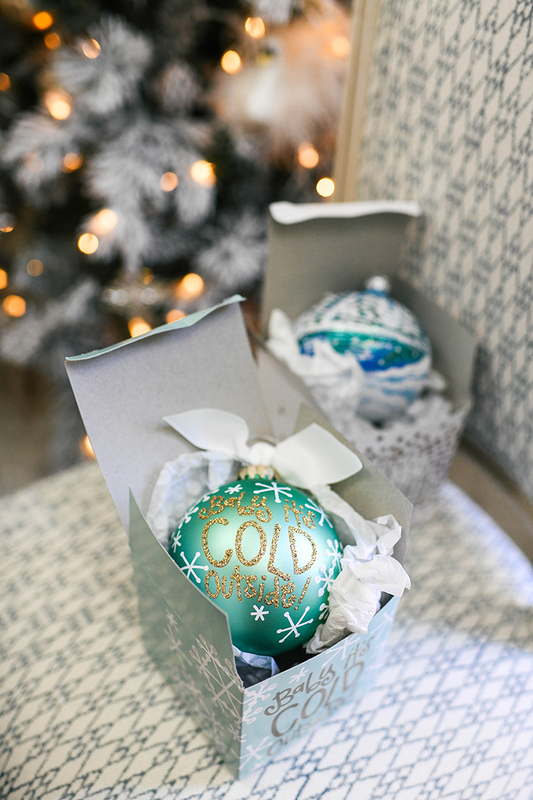 I highly recommend checking those stores out if you need some ornaments, festive accents and more! 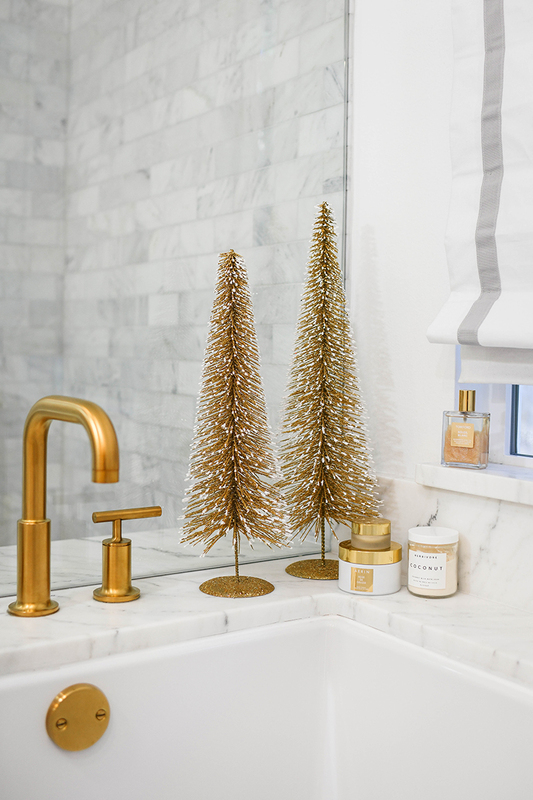 I found the glittering present objects at Wisteria last year, about half of of my glass ornaments are from Mary Cates, and I found the gold and white trees in my bathroom at Madison last year as well. 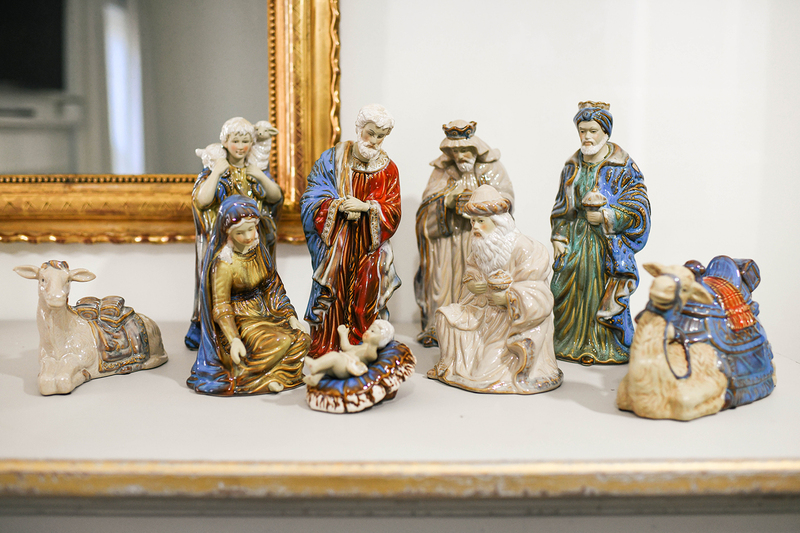 The nativity scene is one my mom has had for years…. no idea where it’s from! 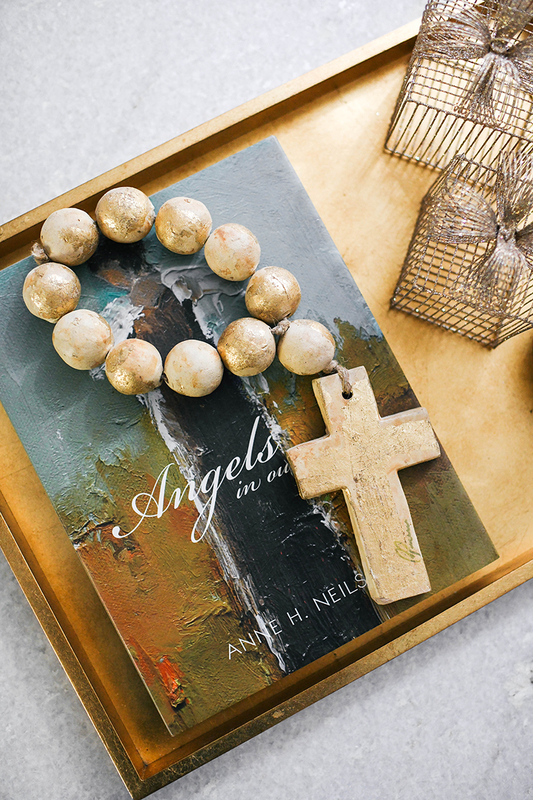 Just to point out a few newer favorites… the oversized wood rosary on my coffee table is from Bay Hill in Austin! 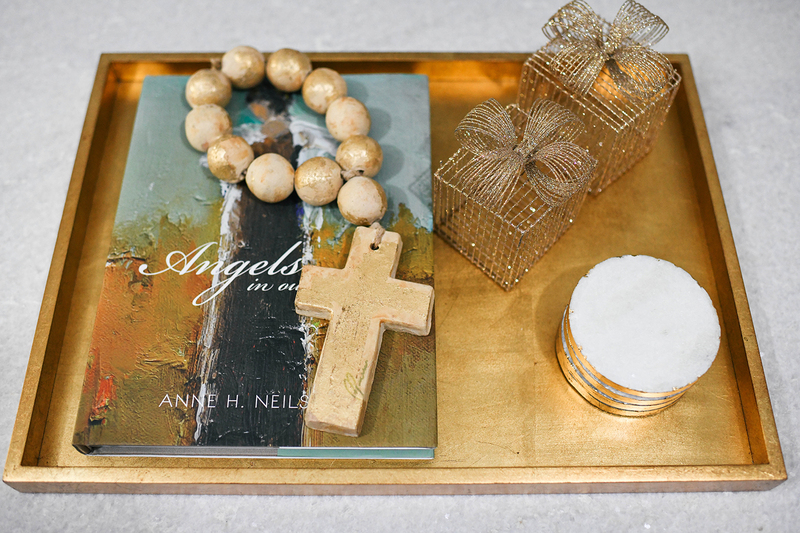 They have a ton in various colors, but I loved the subtle wood + gold combo in this one. The Angels In Our Midst book I found at Wisteria earlier this year (the artwork is so beautiful! ), but it can be purchased on Amazon. 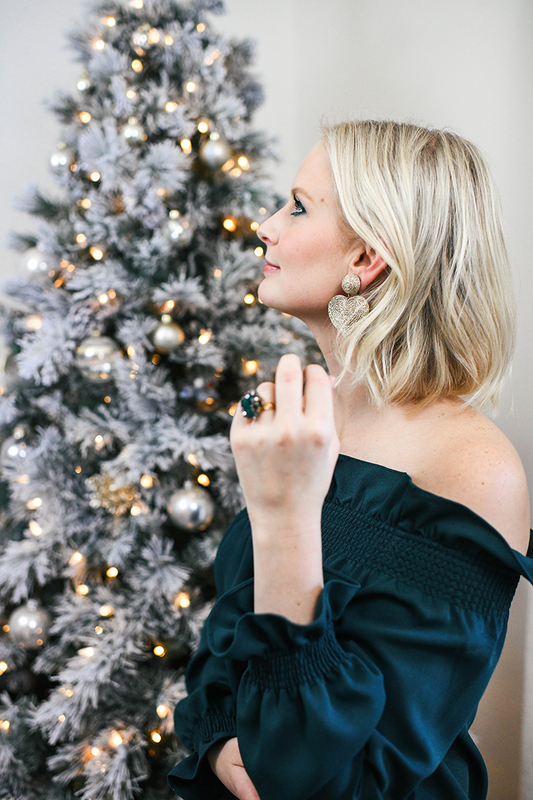 Below I’ve linked a ton of my Christmas ornaments, as well as any furniture and decor items you get a peek of in these photos (like my coffee table). My sconces are also still available, I just can’t link them in the below widget! MY OUTFIT: TOP (NEARLY SOLD OUT – SIMILAR HERE) // EARRINGS // JEANS SHOP MY DECOR IN THE SECTION ABOVE! I love how you decorated your tree! So pretty! so pretty! I love that nativity scene.